MISSION, KS--(Marketwired - Jan 15, 2016) - (Family Features) If you happen to find yourself in a tight spot, borrowing money can help set you back on the right path. However, doing so without a full understanding of the facts can hinder your finances in the future. 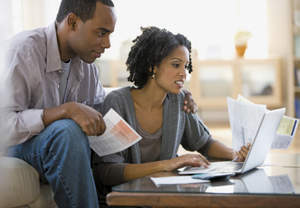 "When faced with a financial emergency, most people don't think through how borrowing money might affect them down the line," said Susie Irvine, president and CEO, American Financial Services Association Education Foundation. "With so many options available, it's relatively easy to get a loan, but the impact on your credit and what it actually costs you over time can vary a great deal." Traditional installment loans are one of the oldest forms of finance transactions and provide credit to individuals and families who need access to credit to meet an immediate need, such as vehicle repairs, household appliances or medical expenses. Averaging around $1,500, traditional installment loans are "plain vanilla" loans with transparent, easy-to-understand repayment terms, due dates and payment amounts -- which usually average $120 per month over a term of about 15 months. With regular, manageable payments of principal and interest, the borrower has a clear roadmap out of debt. Best of all, traditional installment lenders report payment activity to credit bureaus, improving a borrower's credit score when payments are made on time. Payday loans are repaid in a single balloon payment at the end of the loan period. This payment is usually due in less than 30 days and frequently the term is as short as 14 days. Payday lenders do not assess ability to repay, relying instead on a postdated check or similar access to a borrower's bank account as assurance the loan will be repaid. If a borrower cannot afford to repay a payday loan in full when it comes due, they are left with no option but to refinance the entire balance of the initial loan. Although payday loans may appear to provide a quick and easy solution, this single, lump-sum payment can lead to significant problems for the borrower. Payday lenders have also been sanctioned in many states, and at the federal level, for abusive practices. Obligates future income. You'll be required to set aside a certain amount of future income for loan payments. Requires discipline. Borrowing wisely means not borrowing more than you can handle. Don't let the thrill of buying obligate you to more than you can afford. Annual Percentage Rate or "APR": A measure of the cost of credit expressed as a yearly rate. Don't overextend. Be sure you can pay back the loan. Don't bite off more than you can chew. Beware of "now or never" offers. If it's a good deal, it will probably still be there after you've had time to think about it. Don't be pressured into making a quick decision. Ask questions. Don't sign on the line until all your questions have been answered. Read the contract. Don't sign a contract that you don't understand or has any blanks. A signed contract with blanks can be completed as anyone wishes and it will be legally binding. Keep your contract in a safe place. It's important to keep all paperwork relating to your credit obligations. If questions come up later, you'll have your agreement in writing.